Struggling to find the perfect chore chart to get your kids working happily with you? 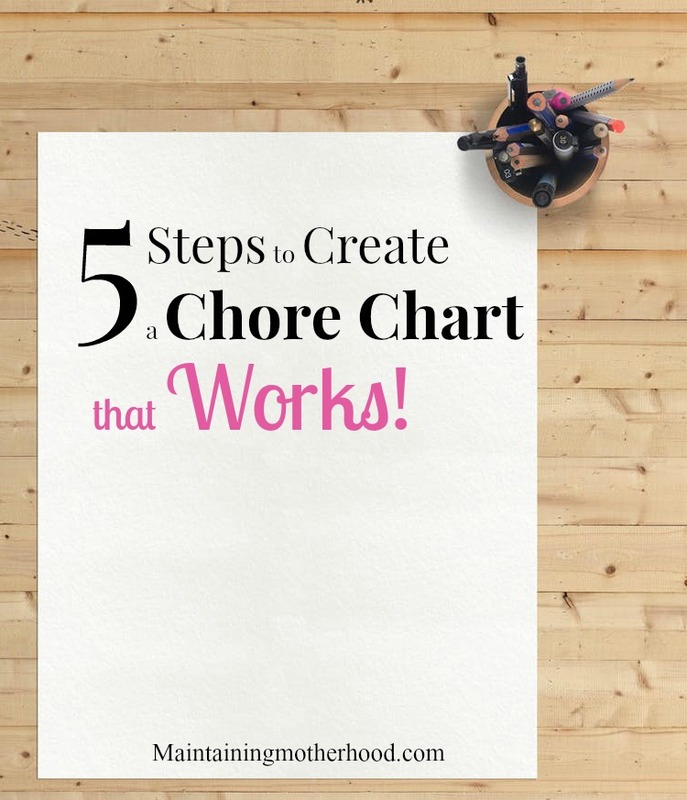 Here are 5 simple steps to help you create a chore chart that works! It seems a running joke in many parenting books is that there is no perfect chore chart out there. Because of the fact that families and their situations and schedules are always changing, chore charts just don’t work, right? WRONG! 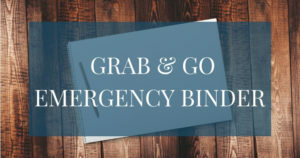 We have a chore chart and although my kids don’t LOVE to do their chores, this method to distributing chores works great for our family! In preparing our chore chart, I took all the “Chore Chart Myths” or disadvantages and made them work to my advantage. Luckily, I have never heard this one in my family. But, to keep me from going totally bonkers should I ever hear this, I decided to slap my name right up there on the chore chart along with everyone else. I already have my own personal home chore rotation, so I added it to the kid chore chart so they could see that I have responsibilities as well. We rotate our Family Chore Chart frequently. It is completely changed at least every 2 months. The chores don’t necessarily rotate either. We change the chores around depending on what responsibilities each child is working on. The only thing that I am a stickler about is now that the 3 oldest can clean bathrooms amazingly well, I rotate which of them gets to clean the other bathrooms in the house. If a child is learning a new chore, they will be trained on that chore either by a parent or a sibling. Right now we have a child learning to vacuum the stairs. They are working with an older sibling to learn how to perfect that skill. 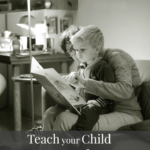 It gets done extra well since the older sibling both teaches and watches the younger child learn. When assigning new chores, I go over the chore chart with each kid individually and ask them when they feel the best time to complete that chore would be. Some chores have to wait until after dinner time like washing the kitchen table and counters. Other jobs can be done whenever, even before school! Sometimes I will have a kid who is involved with extra activities and will have less time than usual. 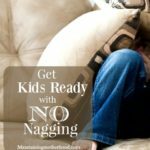 Because we switch up chores frequently, I can accommodate for that child’s need by giving them easier chores. I would rather be a mean mom and keep my kids in the habit of helping out each day. Even with an easier job, the kids have an opportunity to be praised on a job well done. Chore charts do not have to include some sort of rotating wheel, be color coded, or include fancy magnet boards. Ours is a simple spreadsheet on my computer that I edit and print out. Easy peasy. If the process is too complicated for a kid to grasp, they will not participate. If the chart is too in-depth to easily change to meet the needs of the family, it will simply fade away. This one seems to come right after the mom responds “Have you done your chore yet?” to a request for a playdate. Giving kids chores has a whole slew of hidden benefits beyond just teaching them to work. One is time management. If planned ahead and completed on time, kids should still have plenty of time to play each day. 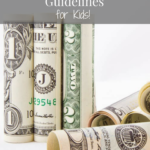 We also give incentives to motivate the kids to do their chores well and with a good attitude. We have simple charts with two columns for each child. On one side, kids can put a sticker if they complete their morning chart on time and with a good attitude. On the other side the kids can put a sticker for completing their chore. When their chart is filled out, the child gets to choose where they want to go on a date one-on-one with the parent if their choice. With so many little kids, this is a much anticipated event. They will ask other siblings for ideas on good places to go to plan the perfect date! Some of the chores my kids do are rather helpful, while others are more for their benefit. Chores teach kids to respect the space they live in. House work is also a series of practical life skills that should be mastered before they move out on their own. What are you waiting for? Sit down and plan out a chore chart with your kids. Maybe even have them choose their favorite chores to start out with. Whatever you do, make it work for your family! What does your family chore chart look like?